Bees love clover! I have long advocated that gardeners leave a patch in their lawn for bees to forage upon. It’s a simple way to help bees, and the clippings will be great in the compost heap, because clover is a high, natural source of nitrogen. In addition, it is drought-resistant and requires little mowing (and pet urine is less likely to leave brown marks, I understand). 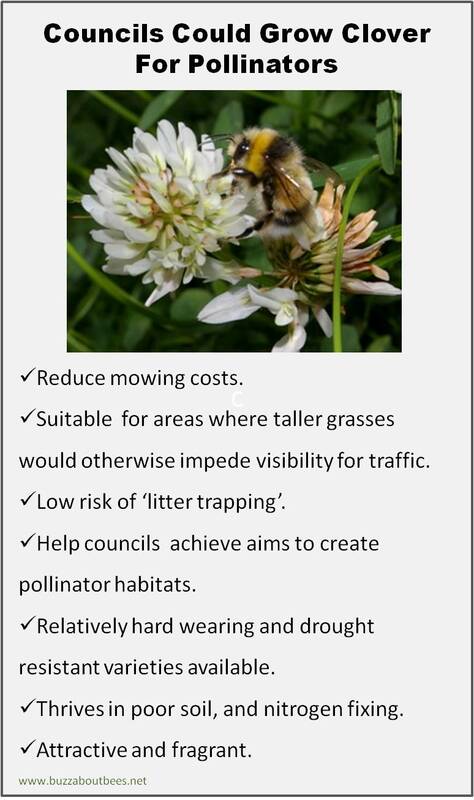 Many farmers use clover too, as it is an excellent grazing crop for cattle and sheep, but I can’t help but think that Councils could actively allow areas of clover to flourish – even create specific patches of clover for bees and other pollinators. 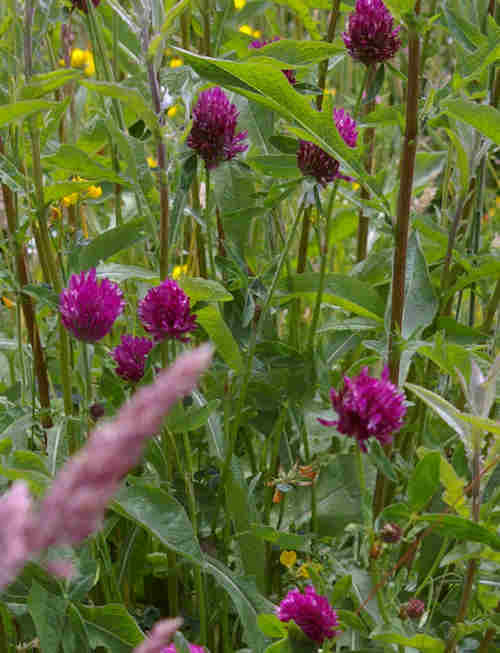 Just a note: I do already advocate wildflower areas too - in fact, some years ago, I wrote a detailed page about how councils could help bees, which included planting for bees, but I think clover is worth a special mention on its own. 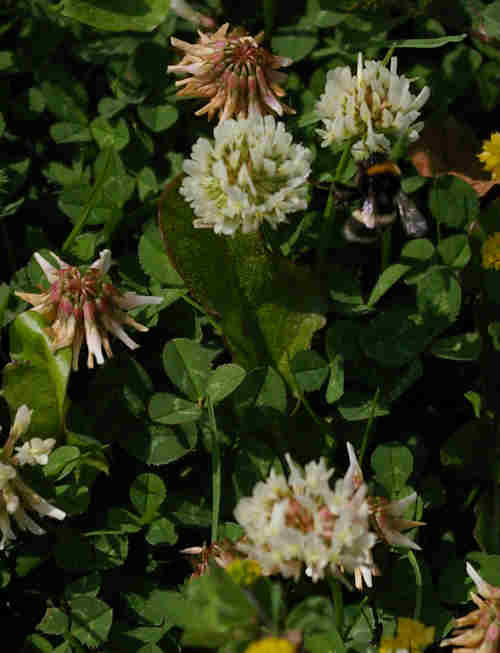 Clover is great for bees and other pollinators, and there may be times when clover would be more appropriate even than wildflowers, for a particular location or setting. How can councils use clover? I often see large strips of plain grass outside public buildings, such as libraries, council offices and so on. 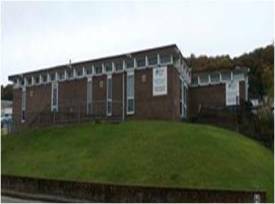 Below is an image of our (former) library. I must admit, our council is quite good, but I think they could convert strips of lawn like this into clover areas. I have seen wildflowers, shrubs and formal planting schemes on roundabouts, but there is no reason why a roundabout could not be a ‘clover roundabout’, especially in some circumstances where for visibility reasons, tall plants and wildflowers cannot be grown. There are sometimes practical and legal reasons why, around roads, grassy verges must be kept short for the sake of visibility, especially for large stretches of grassy verge approaching junctions. Where this is the case, clover, with its low growing height, would provide an excellent alternative to tall wildflowers or flowering shrubs. This may seem an odd suggestion, but it’s a real one! There is no reason why, for example, a circle of clover could not be surrounded by lavendars as part of a soft yet formal display – or where formal bedding plants must be used, the clover could be a compromise between providing something for bees, and visual display for humans in the form of low-pollinator value bedding plants if these are demanded. Brownfield sites are often left to their own devices, and one site close to where I live is home to many wildflowers. Patches of clover mixed with buttercup and bird's foot trefoil can be found among the ruins of the old industrial buildings. Instead of applying weedkiller with the aim of 'tidying up', these can be left alone by councils. What are the benefits of clover? Why should the council be interested in sowing clover? Helps councils fulfil commitments to assist pollinators, especially bees. Reduced mowing costs – clover can be selected which only needs to be mown twice a year. Excellent weed suppressant – so cut out those pesticide chemicals – better for humans, the environment, wildlife, pets and again, saves money! Less litter trapping: I understand from my conversation with an officer at my council, that in some locations, litter can cause problems and result in complaints. He told me that this was one of the reasons for mowing some of the verges so frequently: because long grasses and tall wildflowers are more likely to trap litter, which in turn drives complaints from the public, which he, as a council employee is obliged to respond to. Firstly, I am absolutely disgusted with the litter-lout behaviour of some individuals. However, being a realist, I have to accept that there may be occasions when stopping people throwing litter may take time to enforce. In such circumstances, clover verges may provide an excellent, low growing alternative that would not so easily trap litter as taller grasses. Some clovers are tolerant of poor soils, whilst helping to improve the nutrient content and structure of the soil. Clippings can be added to council compost schemes (high in nitrogen). Clover is very attractive and has a lovely, delicate fragrance. Which type of clover could councils plant? 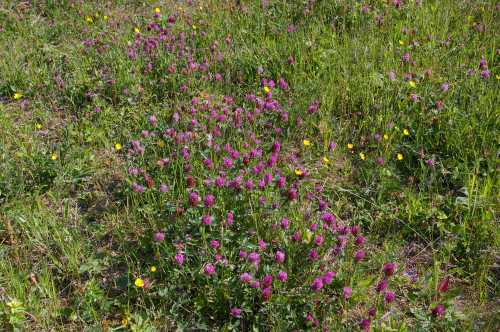 There are a few types, but whilst some varieties may attract more insects than others, they are all pretty good, and councils should seek advice from the supplier about the most appropriate type of clover for their growing conditions. In general, I tend to recommend these 3 (another, specifically Yellow blossom clover, is very attractive to pollinators, but I haven't included it here. It is a biennial, whereas for councils I think it is better to provide a yearly display). Popular, and a good, persistent clover. Good weed suppressant and helps improve soil structure. Attractive to many insects, tolerant of many poor soils. Rapid growing and good weed suppressant. Finally, please share with your council the infographic included on this page. You could post it on the Facebook page of your local council and councillors, and tweet it to them. You could also share it by email, and on Pinterest to encourage others to do the same. 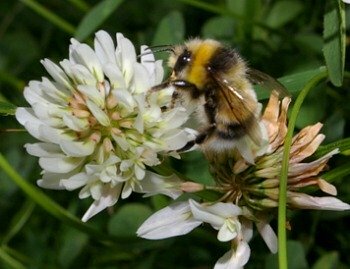 Planting clover really could help bees and other pollinators, by creating additional foraging zones and helping to link habitats. So let’s just do it!